Discount Sign Supply Company is an Industry Leader! This Signage Kit is a Handy Window Display! 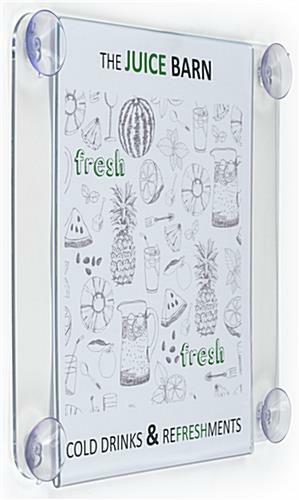 This store supply is excellent for exhibiting 11" wide by 14" high printed media back to back on glass doors, or in windows. 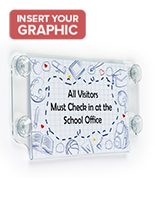 This suction cup visual graphic holding device is double-sided so clients can view your communication while passing or coming in and they can view a varying communication when leaving. This visual graphic frame can maintain signs safely in position and allows for the effortless insertion of advertising pages from the top or sides. 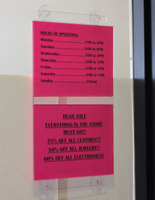 This affordable store supply for sale allows you to make your own signage using your computer printer. 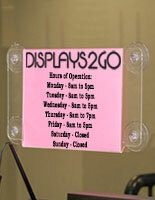 This store supply is utilized for publicizing an occasion, sale or grand opening banner. 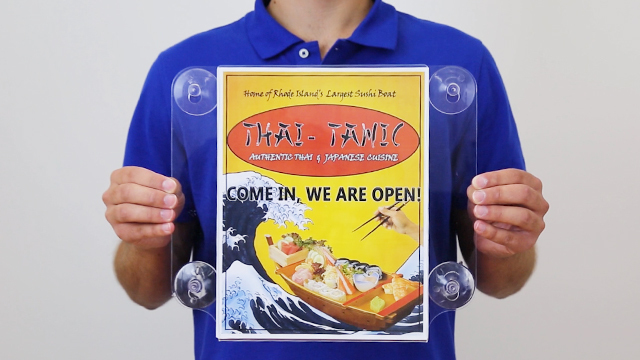 This suction cup visual graphic holding device will stick to any impermeable surface area, as well as a window, mirror, or tile! The store supply exhibit is easy to carry and moveable, so you are able to modify its position. 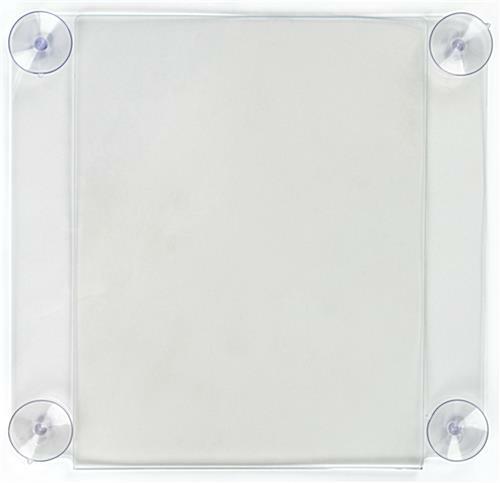 Four suction cups are affixed to an acrylic base, which is engineered to accommodate the visual graphic safely. 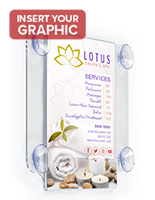 This glass mounted store supply or suction cup sign, is easy to set up and mount and allows for fast changing of graphic inserts. This extremely practical discount store supply for sale is an affordable, viable publicizing instrument and the excellent method for getting your communication across!